My first sailing class on the windy, choppy waters of Puget Sound was a Christmas gift, and probably the best one I’ve ever received. I was hooked immediately, but little did I know where sailing would eventually take me: Cape Cod, Mexico, the South Pacific, Europe, and the Caribbean, just to name a few places, and my adventure continues. Now, with the holidays coming up, we’re all starting to think about what to get for our family and friends this year. Lessons at an ASA sailing school are the gift that keeps on giving–years after the course is over, you’ll still be getting joy and adventure out of what you learned. So if you’re looking for something different to put in the stockings this winter, consider skipping the long lines at the mall, and look up your local sailing school instead! Maybe you have a very good friend who is a master sailor, owns a boat, and has the time to take you out and teach you everything you need to know. But if that’s not the case, the place to find someone like that is an ASA sailing school! Our instructors are highly trained professionals who have dedicated their lives to sailing, spending countless hours on the water and in the classroom. In order to become an ASA instructor they must offer proof of substantial sailing and teaching experience, and undergo a rigorous Instructor Qualifying Clinic. In other words, only the best make it! Learning a new skill or hobby is always a process of making mistakes and learning from them. But it shouldn’t be a shot in the dark, which is why sailing lessons from a qualified instructor can save you a lot of time, money, and stress. 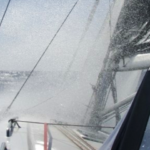 Sailing can be easy when you’ve had the right preparation and training, but if you’re unprepared it can turn into a frustrating experience. In a worst-case-scenario, it could even be dangerous. 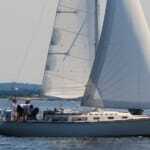 Much better to have an expert sailing instructor along to guide you through any uncertain moments. That way you’ll be making your beginner’s mistakes in a safe, constructive environment. 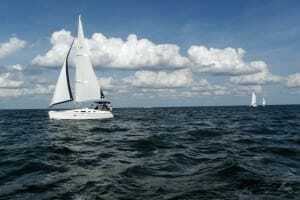 Here’s a fun fact: Most people, even avid sailors, don’t own a boat. Your local sailing school, however, DOES own a boat–probably a bunch of them. The best part of all? They’ll let you use it. A huge part of ASA’s mission is making sailing accessible to everyone, so that your education doesn’t end with certification. You don’t need to splash the cash on a brand new Beneteau or Hunter–we do it so you don’t have to. In addition to teaching sailing, many of our schools also operate sailing clubs, racing regattas, and double as charter companies, meaning you can rent their boats for an afternoon, a weekend, or a fortnight, whatever suits you. Once you start taking ASA classes, you’re part of our community, and we’re determined to provide opportunities to practice your skills and enjoy everything sailing has to offer. Not only will you be able to share the sport of sailing with your friends and family, at your sailing school you’re sure to meet like-minded people, both students and instructors, and who knows where that will lead? Maybe you’ll put together a team for Saturday night beer can races, or just find a group to go daysailing with. Perhaps you’ll even end up going on a flotilla in some exotic locale? Our instructors lead dozens of them every year, all over the world. (Here’s a list of ASA’s 2013 flotillas, by the way.) Once you start sailing, there’s just no telling where it might take you. 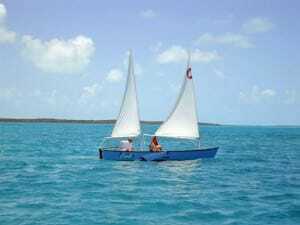 My sailing adventure began as a gift all those years ago. (Thanks Mom & Dad!) Now, are you ready to start yours?